Considering Shared Care? Or Already Sharing Care? On one of our Thursdays with ThirdPath webinars a number of our Shared Care families described how they arranged work and family. In another, both are self employed. In the third, each parent has taken a turn being the primary parent. Click on the SoundCloud icon to listen to the recording and hear the diverse ways families can Shared Care. Listen to their answers to the Valentine’s day question – “How has Shared Care improved your relationship with their partner?” We promise you’ll enjoy their powerful and surprising answers. Below are a number of wonderful books about Shared Care. Or print the PDF version of our list of Shared Care Books. 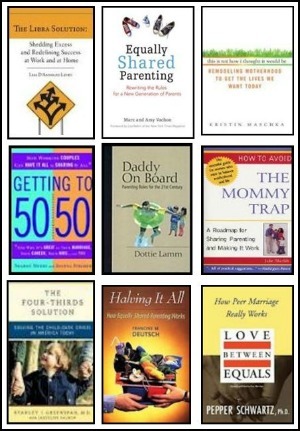 As you can see, there is a long and growing history of resources for parents who want to follow this path. You can also take a look at the many resources available on our website. We’ve got lots of ways to help you get started.